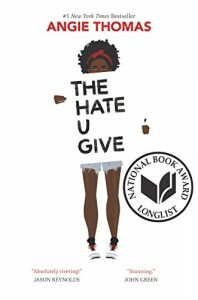 The recent challenge to Angie Thomas’s The Hate U Give in Springfield, Missouri, inspired a local journalist to dig into attempts to remove content in schools and libraries in the state. In her research, Claudette Riley of the Springfield News-Leader uncovered 36 censorship incidents in the state, including attempts to remove 26 books, since 2014. The material was challenged most frequently for profanity, racism, sexuality (LGBTQ content in particular), and suicide. Riley compiled a list of some of the challenged works. Some, such as The Absolutely True Diary of a Part-Time Indian and It’s Perfectly Normal, are books that CBLDF has helped defend previously in various locations around the country. In the case of The Hate U Give, an award-winning novel inspired by the Black Lives Matter movement that was longlisted for the National Book Award, a parent of an eighth-grader at Reed Academy and state Representative Sonya Anderson object to language, drug use, and sexual content in the book. According to Stephen Hall, chief communications officer for the school district, the book challenge went through the appropriate channels and “the book was pulled indefinitely, pending the outcome of the committee’s full review.” The committee will consist of a group of teachers, parents, and administrators, but the review could take months before a decision is made. Most free speech advocates, including CBLDF, oppose policies that call for the removal of materials pending review because such actions disrupt the classroom and students’ education. Riley spoke with James LaRue, who heads the American Library Association’s Office for Intellectual Freedom, about his take on why the material was challenged. Free speech advocates take no issue with an individual parent who wants to moderate the content that their own child reads, but the actions of the parent in Springfield, Missouri — coupled with the interference of a local lawmaker — raise significant First Amendment concerns. A parent, much less a state representative, can’t and should not be allowed by administrators to make decisions for all children in the district. Riley noted that in the Springfield district alone, at least five books were challenged, but luckily none have been removed so far. We can hope that pattern holds true for The Hate You Give. Help support CBLDF’s important First Amendment by visiting the Rewards Zone, making a donation, or becoming a member of CBLDF!